Coachella? 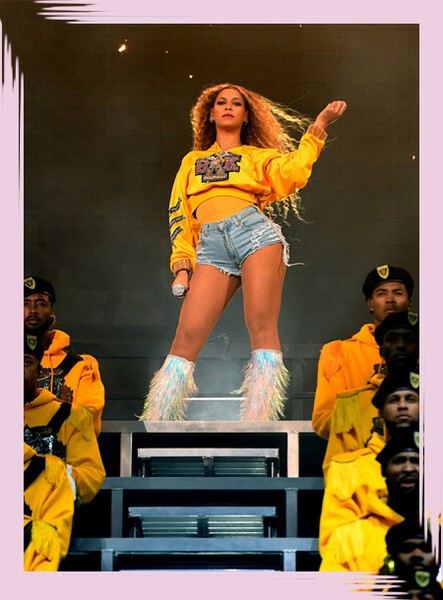 More like Beychella! Celebrities and festival-goers alike flocked to the desert for the annual 'Chella pilgrimage last weekend in Indio, California. And oh, did they bring it. There were plenty of controversial "are they or aren't they" celeb couple moments (we have questions for you, Bella Hadid and The Weeknd), and as always, fabulous festival fashion. Not to mention all of the incredible performances! Beyoncé was the reigning queen of everything, of course, but certainly not the only celebrity to serve major looks. Keep reading to see some of our favorite famous Coachella queens frolicking across the Empire Polo Field and at various after parties. And brace yourselves — Weekend 2 is on the horizon.